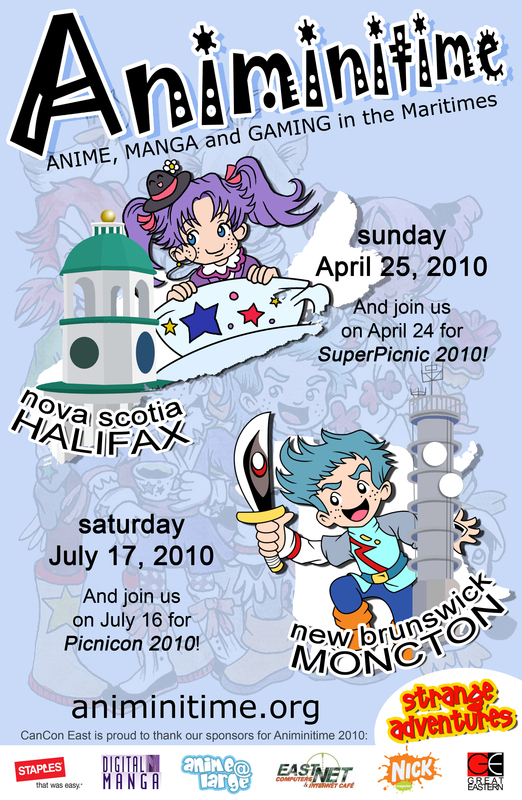 Would you like to be a supporter of Animinitime 2010? As with any convention, we are always in need of support. Flyers, bags, prizes, merchandise – you name it, we could use it. If you’re interested in supporting Animinitime 2010, please send an e-mail to support@animinitime.org with “Support Info” in the subject line. Please let us know of your interest and what you’d like to send. We’ll contact you with a shipping address. Looking to support Animinitime locally? We have a couple posters you’re welcome to print and post to let people know about our events!